Born Rosa Louise McCauley, she was the loving daughter of James and Leona McCauley, respectively a carpenter and a teacher. Rosa grew up on a farm in Level, Alabama. Her parents and she lived on the grandparents' farm. 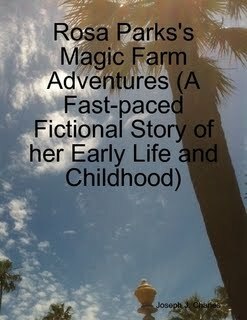 This book is a fictional account of Rosa McCauley's childhood on a large farm. It will tell you about the many adventures she used to go on with her pet dog Chester and pet goat Chiva.